Kelly is highly critical of whatever Sayesha does or says. In spite of the effort she put into her work, attitude, and behavior, he always criticized and nitpicked on her. The truth is that Sayesha let that happen to her. She never tried to stop him or stood up for herself. This could have been avoided if there were some boundaries set early in the relationship. When two people are in love there might not be any boundaries. But when love translates into marriage, there is a need to draw limits. Setting rules and guidelines ensure that both the partners are happy and know where they need to stop. That helps keep the marriage healthy for a lifetime. 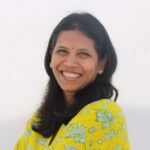 Here, MomJunction gives you an insight into boundaries in marriage, why they are important, and how to define them to stay happy. Let’s first see what it means when we say a ‘boundary’ in a relationship. Boundary is that line or limit which partners set to protect their marriage, and prevent themselves from exploitation and manipulation. Boundaries enable you to draw a line between you and your spouse and allocate ownership and responsibility between you two. make you take responsibility for your actions instead of blaming it on your spouse. help resolve conflicts and prevent you and your partner from being hurt. give you the power to change things for good as you are in control of your actions. help you strike a balance between yours and your spouse’s priorities. Give you freedom: Having freedom in marriage allows you to love and respect each other. Marriage doesn’t give you the license to restrict your spouse’s freedom. Your spouse should be allowed to pursue his/her interests instead of being bound by you. Give each other that space to pursue the interests and activities. Restriction and control only breed contempt. Before you announce your partner’s limits, set an example by coming up with boundaries for yourself. Protection: Having boundaries in place helps you know when to tolerate and when to accept. For instance, if your spouse abuses you or hurts you emotionally, you have to protect yourself and stand up for yourself instead of tolerating. Responsibility: Taking responsibility makes it clear about who is in charge of what. It leaves no room for ambiguities. Responsibility in marriage covers a whole gamut of things such as behavior, choices, thoughts, attitude, values, and more. If something requires improvement, then you have the power to change it, without affecting your partner. Limits are required in every relationship we have. So, what are the specific boundaries you need in a marriage? Love: Love is the very foundation of marriage. Remember your wedding vows, “to love your spouse in sickness and health and in good and bad times.” And when you said “I Do”, you need to do that earnestly. Love your spouse at all times, even during the tough times and even when your spouse is not behaving the way you want them to. That shows your unconditional love for him/her. However, it doesn’t mean you have to tolerate your spouse’s bad behavior. You need to know where to draw the line. Honesty: Honesty helps sustain mutual trust and respect in the relationship. Dishonesty can lead to a host of negative emotions such as insecurity, jealousy, mistrust, and disrespect. Faithfulness: The boundary of faithfulness protects the marriage from external influences, reassuring the wife and husband about each other’s love. Self-control: The key to a healthy relationship is to control your emotions and reactions to situations. The solution lies in self-control rather than controlling your spouse. For example, if your spouse is rude to you, you can tell him/her, “If you continue arguing with me, I’ll stop this discussion and leave”. This action helps you control the situation from going worse. Communicate: Mere communication about day-to-day things is not enough. You need to have a heart-to-heart talk and share quality time as it makes your relationship special. Sometimes, we tend to assume things instead of asking, so avoid that and make it a point to ask questions and express your concerns. No physical abuse: This boundary cannot be crossed at any cost. Physical abuse such as hitting, pushing, or slapping each other can never be done or tolerated. Don’t envy your spouse: Envy proves to be a disaster in your relationship. If you are dissatisfied with yourself, you will lack the ability to change things in your relationship. When you are jealous of your spouse’s growth, social skills, appearance or anything else, it means you are feeling insecure in the relationship. Insecurity will force you to break all the barriers in marriage. Evaluate situations: You need to know where to draw the line by evaluating the situation. Sometimes setting boundaries in a marriage might hurt your partner but that doesn’t mean that it’s bad for your relationship. For example, you might ask your spouse to share the responsibility of paying the household bills, as you want to make some investments. So, be firm with it as you are securing the future with those investments. Do not be rude or yell: It’s quite likely for couples to argue and disagree sometimes. But, the key is to agree to disagree or talk through it with a calm and composed mind. No matter how tough things get, never speak rudely or pass bad remarks. Be open: Be open with your partner, and talk to them about your friends, especially those of the opposite gender to avoid any suspicions. Make sure that there are no secrets between you. Most importantly, do not do something, which you will be forced to hide from your spouse. Maintaining secrets about friends, emails, money, calls, trips, etc., is definitely a big no. Have positive conversations: Stop complaining about your spouse to your family members or friends. If there is an issue, then you need to discuss it with your partner and solve the problem between yourselves. Also, do not let others speak badly about your spouse. If they do, stop them immediately or walk away. Your spouse will feel truly loved when you show that you stand by him/her no matter what. Change yourself: It would be unwise to think that you can change people the way you want. We have the power to mold ourselves to create an ideal and loving situation for each other. In a marriage, change works in both ways — you give some and take some. You can’t assume that things would go according to your choice. The other person should also have a say. Resistance to deviations: Boundaries are not just for you and your spouse alone. They are also between you and the world out there. These limits with the outside world help you prevent extramarital affairs and infidelity. If you find yourself tending towards someone, have an honest and open discussion with your partner. Your spouse will be proud of your honesty and faithfulness, making the bond between you stronger. Forgive: To forgive your spouse can be challenging. But, it is necessary to strengthen your marriage. Even in times of conflict, you need to be humble enough to forgive and let go. But be firm if the mistake is repeated. Say ‘no’ sometimes: Certain situations in your life require you to say ‘no’ even if it hurts your partner. If your spouse wants you to do something illegal or hurtful, you have no option but to say ‘no’. If you hesitate to say ‘no’ at the right time, it would ruin not only your marriage but also your lives. Boundaries are more about you than your partner. You need to know where and why to draw a line, so that you don’t have to spend too much energy in following the rules. Identify your feelings and accept them: The first step in building boundaries is to know and understand your feelings. You may get caught in your spouse’s emotions and feelings, and tend to overlook yours. Recognize and understand what is making you feel bad or depleted in the marriage. Take the time out and introspect. Analyze if boundaries have been broken: Once you know your feelings, understand what is making you feel that way. For example, your spouse is coming home late regularly, criticizing you repeatedly, or you are yelling at your partner, annoyed at him/ her that they are not doing things your way, and so on. Determine how to set your boundary: Once you know the cause(s) for your hard feelings, setting boundaries becomes easy. For example, if your spouse is coming home late every day, you can tell them, “I am not going to wait for you, the food will be in the refrigerator, and you can heat and eat it”. If they are criticizing you always, you can simply walk away and ignore. And if you feel you are yelling at your spouse for everything, then set a boundary that you will not shout, but wait until your anger subsides. If you are annoyed because your partner is not doing the things your way, then set a boundary that you will not be bothered about it unless it is harmful to your partner/ you or your relationship. Communicate your boundary: Convey your boundaries to your spouse. There would be a certain amount of resistance and conflict, but explain the things in detail so that your spouse will see reason in your decision. Stick to your boundaries: After you define the boundaries, you need to stick to them to make the boundaries work. Don’t leave any margin for the other person to overstep boundaries. If you are deviating the limits, then take a break, relax, meditate, or do whatever you can to put yourself back on track. Boundaries act like lifeboats during the uncertain tides of marriage. Nevertheless, there are many misconceptions surrounding them. Let’s see what they are. People who set boundaries are labeled as selfish and rigid. People setting boundaries are perceived as controllers who try to restrict their partners’ freedom. Boundaries dictate your spouse what to do and not to do. The boundary of self-protection is perceived as a punishment for the other. For example, when the husband spends extravagantly in spite of being told several times, then the wife chooses to have a separate bank account. Choosing to have a bank account is not an act of punishment for the husband. In any relationship you cannot expect the other person to behave the way you want them to. You can only request for a change in their behavior and having boundaries does not mean that you demand a behavior change from your partner. Therefore, you need to explain your spouse about the need to have boundaries to avoid any conflicts. Consult your partner before you decide on the boundaries. Give your spouse the freedom to say “no”. Give them the time to come to terms with the boundaries. Refrain from withdrawing from your spouse, attacking, or making him/her feel guilty. Take feedback from your spouse when you cross boundaries. Sticking to boundaries involves a lot of work. Hence, it can be challenging and unpleasant. Nevertheless, boundaries enhance your relationship and make your marriage last a lifetime. Let’s look at some examples of boundaries in marriage. Your co-worker is attracted to you, be open and honest and share it with your spouse. Before that, be straight with your colleague and tell them that you won’t involve with them because you are committed to your partner. Do not hide the truth from your spouse. Emotional connection is important in a marriage. 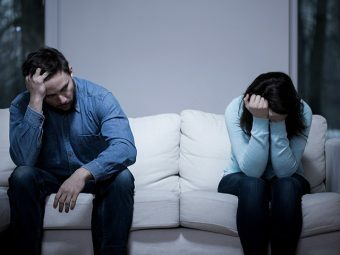 There could be times when the partners do not make any efforts to change their hurtful behavior and fail to re-establish the emotional connection. For instance, when the wife is upset about something, the husband fails to notice this. He goes about his work as he finds no difference or change in his wife’s behavior. The wife obviously gets more upset. This could be avoided if both the partners could understand each other well and gauge each other’s emotions. Having such boundaries can protect your marriage from harm and make it healthy. Having too many boundaries might not make your relationship healthy. Boundaries have to be counterbalanced with enough love. You need to find a middle path where the boundaries you have set have the right effect on the partner and the marriage as a whole. Do you have anything to share about healthy boundaries in marriage? Let us know by commenting below.